This isn't your big retail store that no one has the answer to your question or the paints close enough to matching. 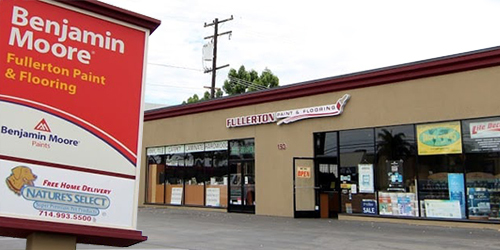 Fullerton paint can not only can match the paint dead on but they can answer your questions with experience, theres a big difference between them and the yahoos they have over at home depot. I highly recommend them for your paint or flooring needs, they've certainly made my job easier.